Bhopal, the capital city of Madhya Pradesh, known for many unique things that intrigue the tourists to pay a visit to this city. Bhopal masjids (mosques) are important tourist places in this city. Bhopal mosques give the travelers an idea about the cultural make-up of this city. 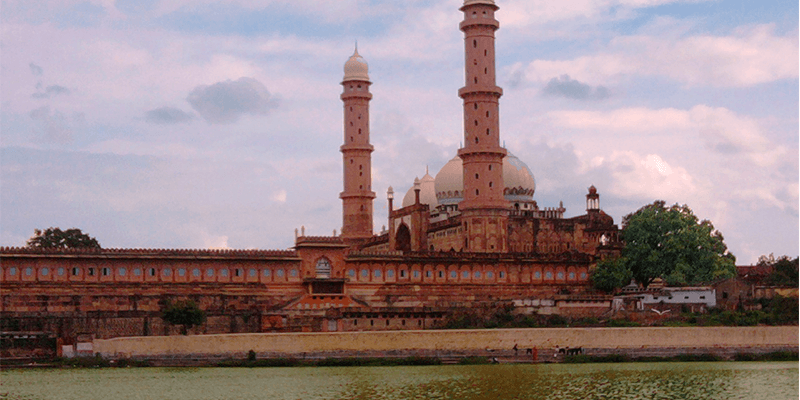 The fascination to witness these marvelous mosques boosts Bhopal tourism as well. If you are already eager to know more about the glorious and unique Bhopal mosques, then let us give you a sneak peek into them. Most of you might be under the impression that Delhi’s Jama Masjid is the largest mosque, let us tell you about Taj-ul-Masjid. With an interior area of about 430,000 square feet, the mosque has a capacity to hold 175,000 people This makes Taj-ul-Masjid, Asia’s largest mosque. 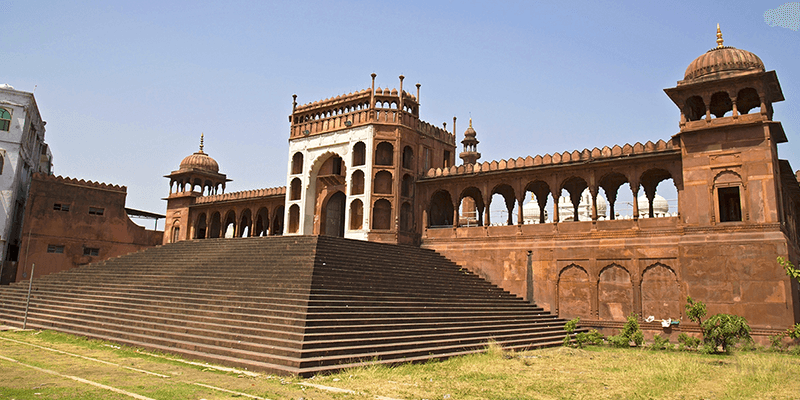 This grand Bhopal masjid was built by, Bhopal’s third female ruler, Shah Jahan Begum. The ruler wanted to create the world’s largest mosque but could not live to see its completion. When she died in 1901, the work on completion of this mosque was halted for many years. Since its completion, the mosque has been used by hordes of people to offer their daily prayers or Namaz. Made of red stone, the mosque stands in all its glory by the Motia Talab Lake. When translated, Tajul Masjid means ‘The Crown of Mosques.’ Tourists understand why it is named so as soon as they enter the mosque. You are greeted into the mosque by a huge courtyard, which can be compared to the one before Jama Masjid at Fatehpur Sikri, and has a water tank in the center. 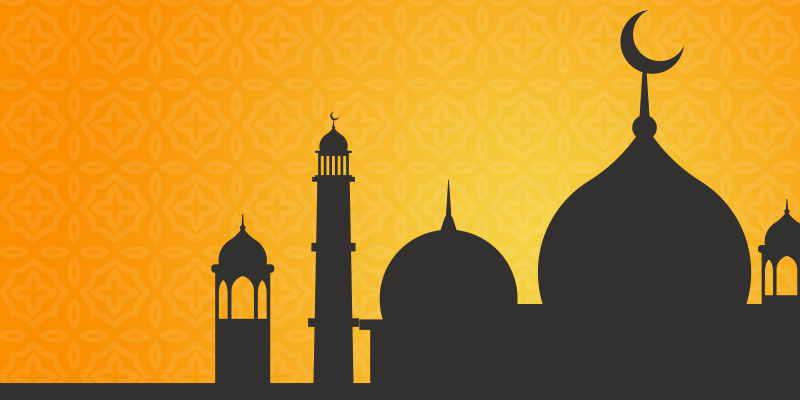 Tip: You can visit the mosque any day except Fridays, as non-Muslims are not allowed inside on Fridays. Must Taste: Local delights served at Kalyan Singh’s Swad Bhandar and Barfi Rasmalai Dona at Surendra Jain’s stall. Shopping: Situated at Chowk Bazaar area, one can shop for state’s specialty Chandheri and Maheshwari sarees here. Bhopal is not only home to Asia’s largest mosque, but to the oldest and tiniest mosque in the entire world as well! Situated inside the grounds of Hamidia Hospital, opposite to Taj-ul-Masajid, Dhai Seedhi ki Masjid is just four big steps by four big steps in area, making it about 16 sq m. acreage. Built on top of an old fort, this mosque has a watchtower of its own. According to locals, this is one of the oldest Bhopal mosques. This mosque came up as a makeshift mosque while the fort was being built and has continued to remain a place of worship ever since. Trivia: The mosque was built as a praying place for the guards at the nearby fort. Must Do: It is a photographer’s delight and one can come up with some excellent pictures here. 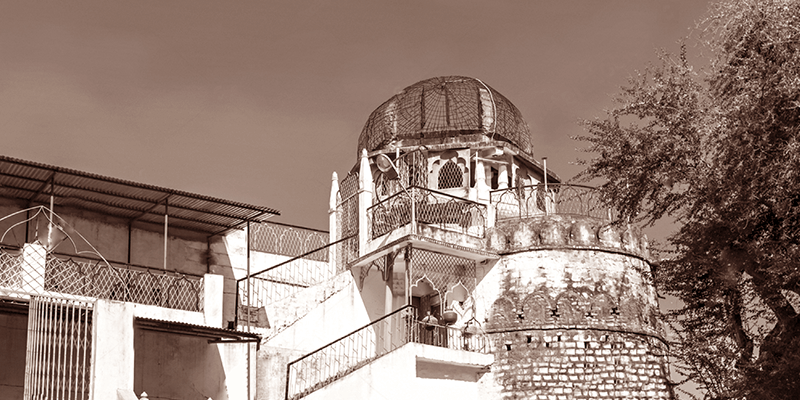 Nearby Attractions: Head to Old Bhopal and immerse yourself in the time that has gone by. Moti Masjid is close to Jama Masjid (Bhopal) and stands across a busy street. Built by second female ruler of Bhopal, Sikandar Jehan Begum, in the 19th century the Moti Masjid is an example of elegant architecture. While visiting Moti Masjid, you will have to ascend a few steps to reach a courtyard through an arched and gated entrance. This Bhopal masjid has about 11 arched entrances and a marble facade. There is a larger central entrance too. The mosque also has two red minarets. The façade has two small cupolas atop it and the two black minarets on either side give it a fine look. It is frequented by localities for praying, this is another jewel of Bhopal tourism. Must Taste: Do not leave the Imami Gate area, without trying some sumptuous fast food options. Also try Bhopal’s local ice cream at Top n Town. If you happen to visit Bhopal, do care to visit some of these unique and beautiful mosques!